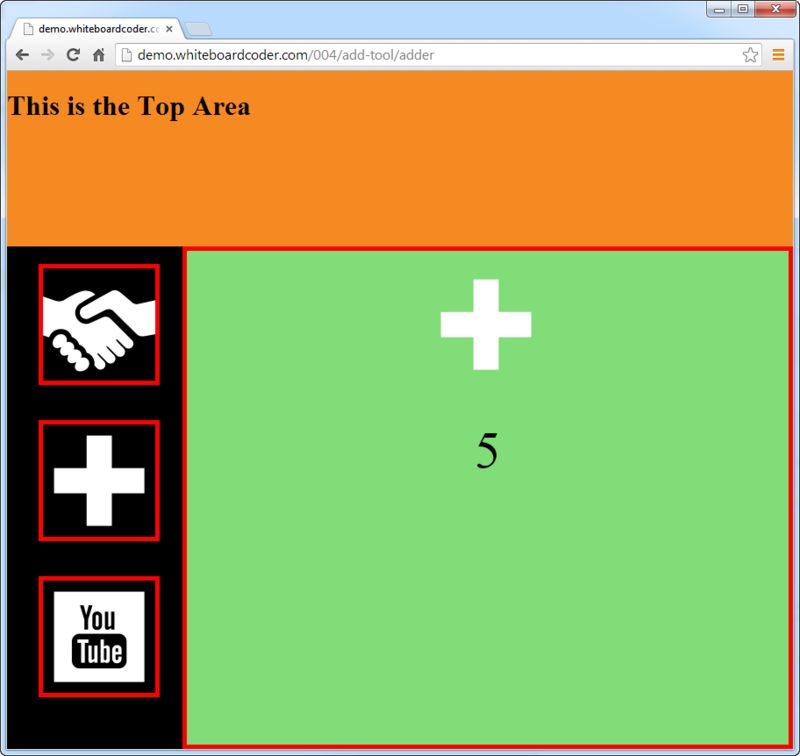 This tutorial will start where the last tutorial finished which added some ajaxy goodness using jQuery load. 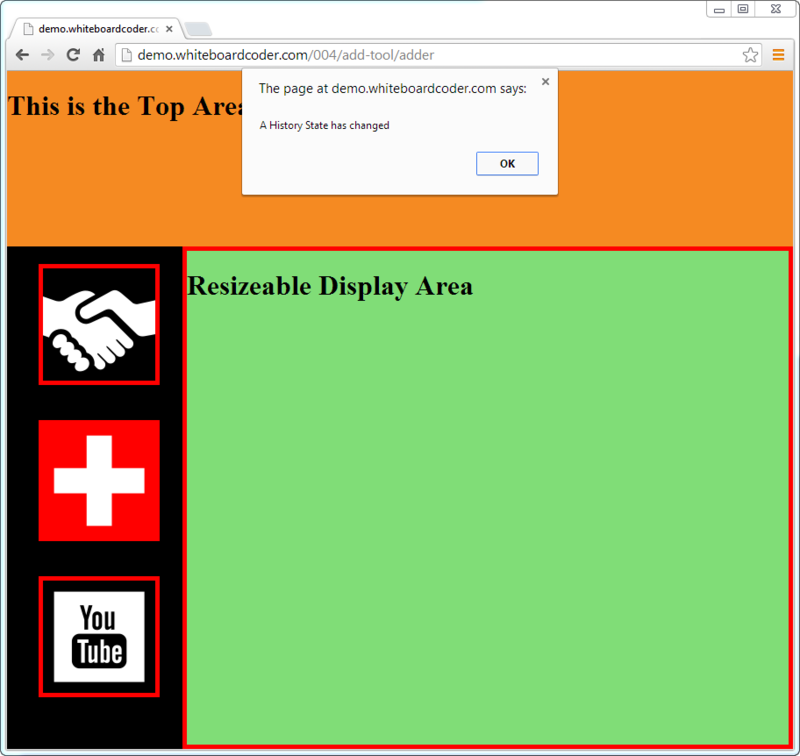 Now it's time to use the HTML 5 history tool. One problem with the web app at this point is its history, there is none! If you click the back button you are taken to the last site you were at. This can be very problematic. Lucky for us in HTML 5 there is a very nice history API we can use for Browser history management. I am not going to go into the specifics a great deal here, but rather show a practical example. For more details check out these sites. 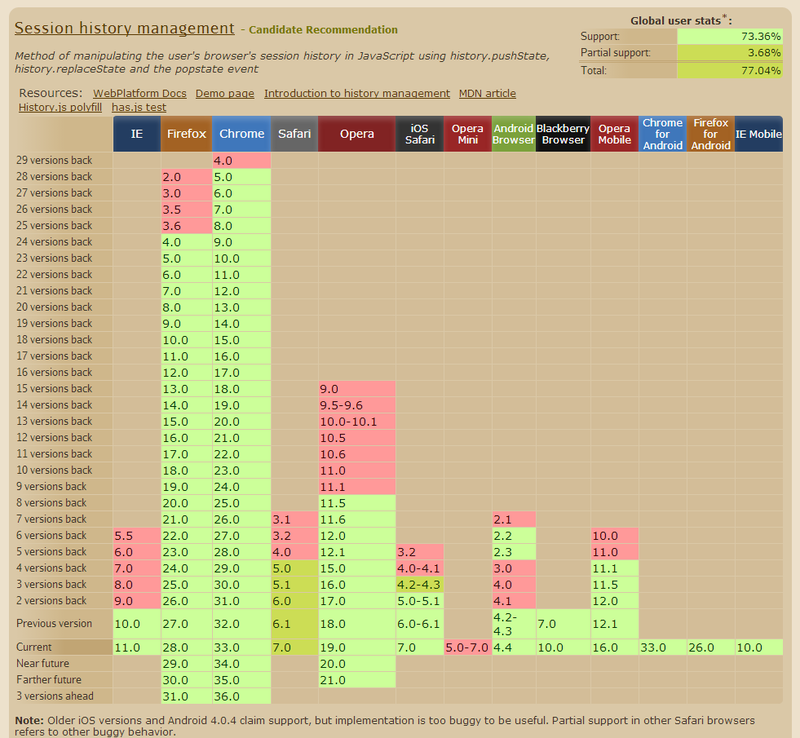 Also check out http://caniuse.com/history  to see current browser support for history. 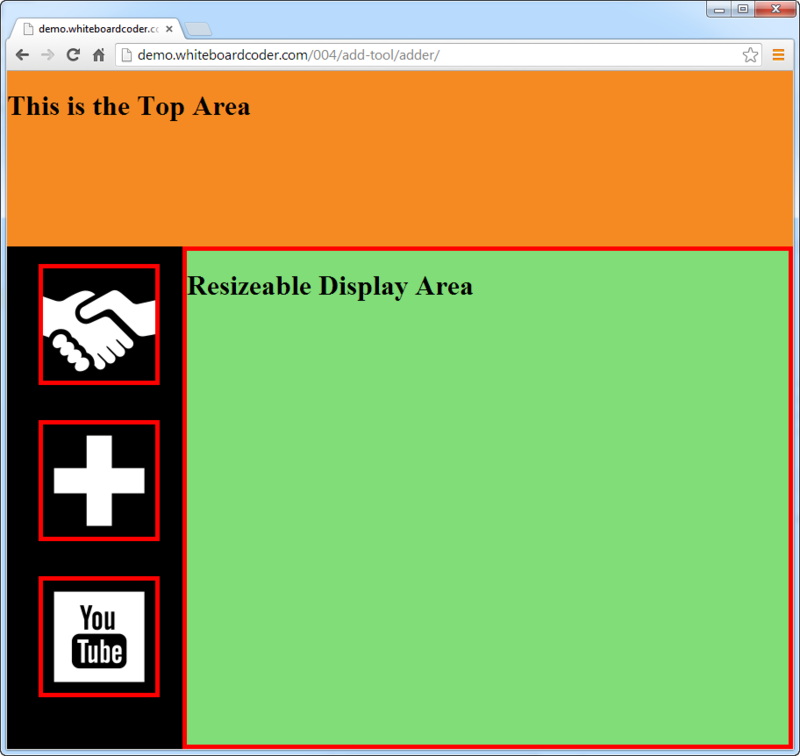 > mv mv browserstate-history.js-cce9589/scripts/uncompressed/history.adapter.jquery.js . You could have bound a function to each event but I think it makes more sense just to use the single event listener for all of them. The URL will change and the alert will fire off. The pushState function is pushing the URL http://demo.whiteboardcoder.com/004/add-tool/adder onto the history stack. Now if you click the back button it works…. Kinda…. You will not be taken out of the site, with a single click, but nothing really changes either…. In this simple case all that really occurred was you added a URL to the history that did not update the page. I could add 100 URLs like this and all it would create is the need to hit the back button 100 times to get out of the site. To get this point across a little clearer some code changes are needed. alert("The current URL on the history stack is \n'"
Now the URL updates in the browser and you get an alert showing what the current URL is. No part of the page updates but there is now a history you can go back and forth through using the forward and back button. Great! So I have a history that is correct but the page does not update…. What is the use of that? The State data Object you can pass to pushState can help solve this. You can store some json data in the State data Object that can be used during the event listener. Reload the page and click on some of the icon buttons. Now the web app is updating like it should and the URL history is being added. Since the instructions for loading the ajaxy data is in the State Object when the forward or back button is clicked the 'statechange' event is triggered and the page is updated correctly. Try clicking the buttons then clicking on the forward and back button a few times. The last part to be dealt with is the actual URLs themselves. 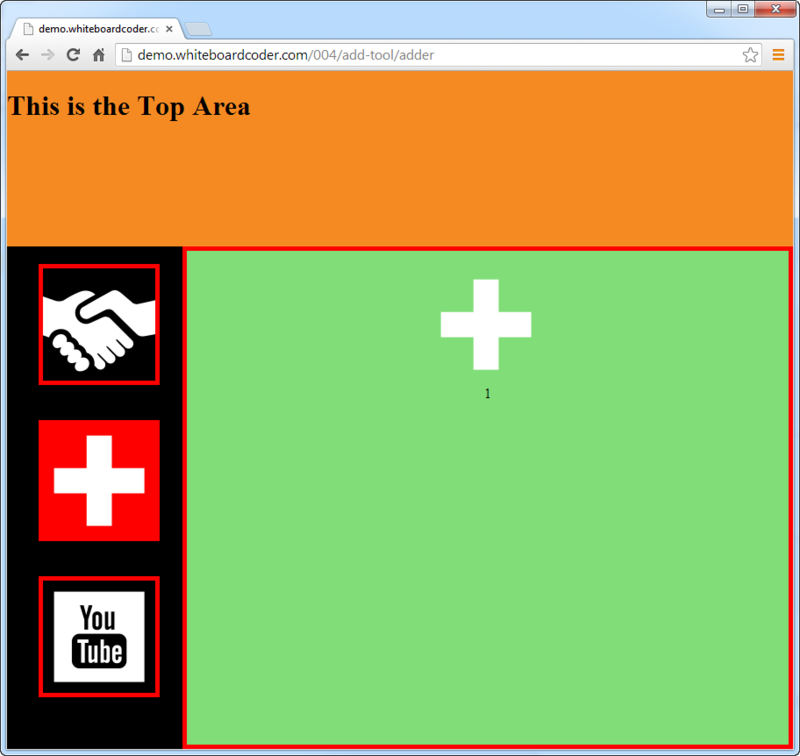 If you click on the + button the URL will be updated to http://demo.whiteboardcoder.com/004/add-tool/adder/ in my example. If you reload this page or try to open the location in another window. 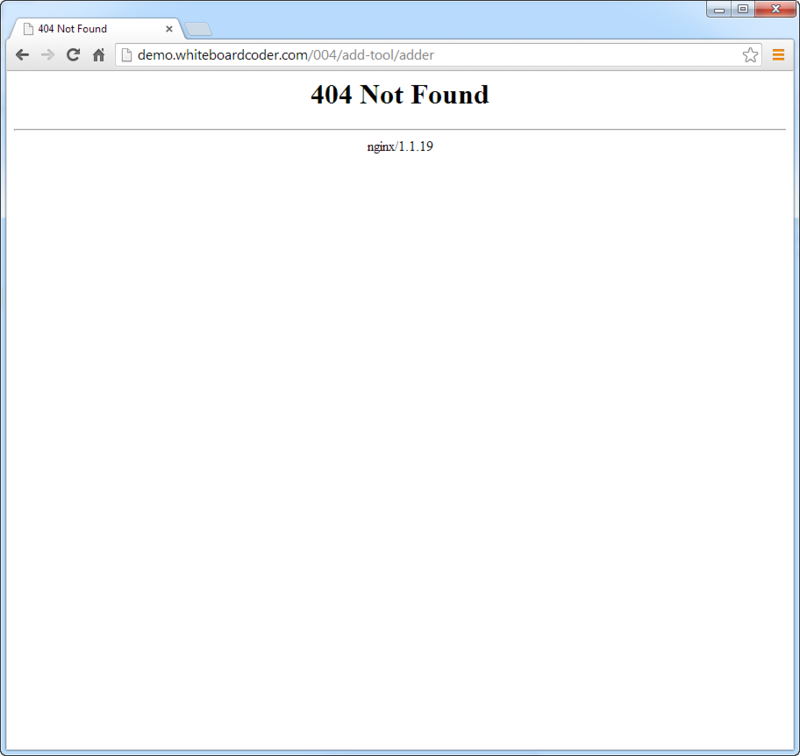 You will get the 404 error since the actual URL does not exist. The URL needs to be legitimate and to open the web app to the correct tool…. 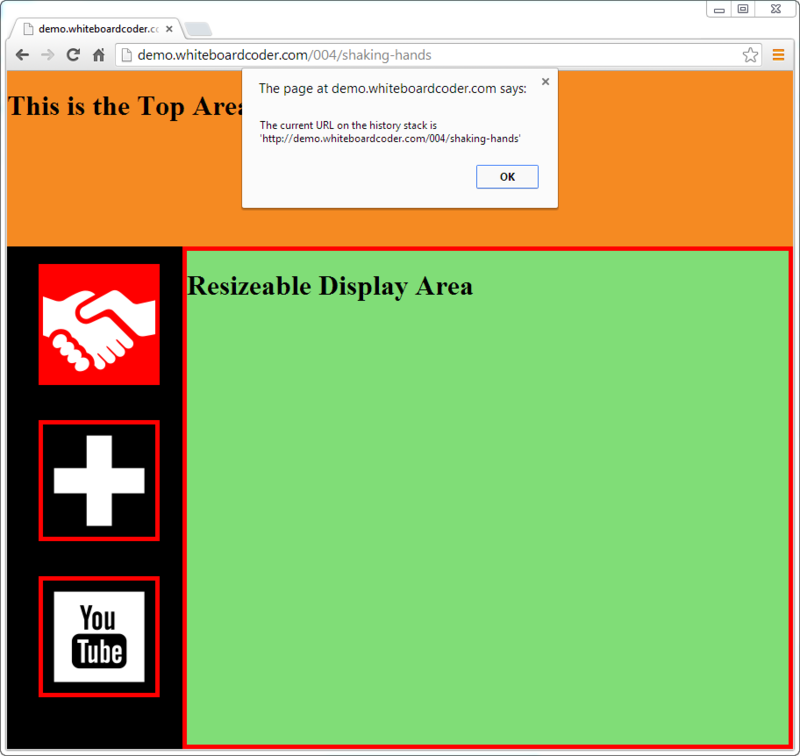 I will attempt to fix this with some static pages, just to show it can be done. Well at least there is no 404 error, but reloading the page sets you back to square one, when it should open the tool again. //to one on top of the stack it won't replace it. When loaded the handleURL function will determine the current pathname and if it's one of the tool URLS it will replace the current state on the history stack. Reload the page and try it and copy and paste a URL and try it. That is the end of this tutorial, hope you found it helpful. Can I use Session history management?